UsefulCode have published two small php classes that allow us to have a RSS feed reader in our web site. Actually, I have been testing it and indeed it has several deficiencies and many if we compare it with a powerful class, as Magpie RSS. Nevertheless, itâ€™s so simple to put it in execution that is ideal to do practices and to learn more about RSS’s managing with PHP. This one is a brief summary of what in my opinion are the best firefox extensions for Web development. But careful, itâ€™s not a closed Top Ten there are still several extensions that we can keep for another moment. 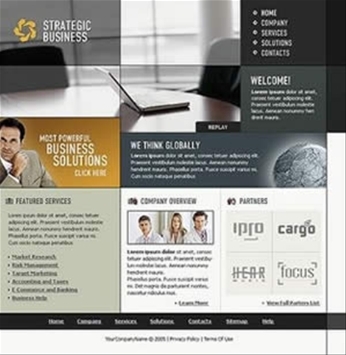 Website development is an important and crucial first step to creating an online business. The investment made in your website design can be a large investment and you probably want a website that is an extension of your business and display your products or service in a professional way. Beware, just because a website is amazing to look at, this does not mean it work well with all of your Internet Marketing efforts. Most of the time the websites are created with out the thought or planning of good quality content, sites are also employing mainly flash design as well as complicated navigation set up making exploring your site frustrating. Surprisingly Internet Marketing and Website Design seem to be clashing rather than complimenting each other.